"The best architecturally designed church with the best acoustics and the best sound/video systems can achieve its performance goals only if its sound and video staff and/or volunteers have been thoroughly trained in the system and its operation." As a pilot, Mr. O’Toole must undertake recurrent training to remain current in the operation of the airplane. As a systems designer, he understands the need to undergo recurrent training in his vocation as well, and so takes advantage of the best the industry has to offer. 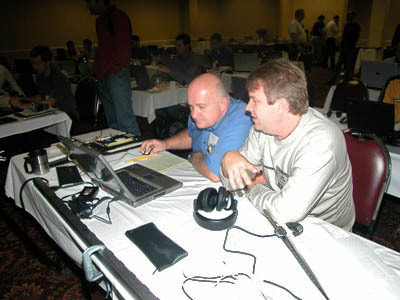 Similarly, those who operate your audio and visual systems and control what is seen and heard in your venue, need to take advantage of excellent training available from resources such as Taipale Media Systems, "Churchsoundcheck.com", Synergetic Audio Concepts, www.syn-aud-con.com and classes such as "Sound Reinforcement for Operators and Technicians". <?xml:namespace prefix = o ns = "urn:schemas-microsoft-com:office:office" /> Additionally, we can be your personnel’s local resource for sound and video system training. 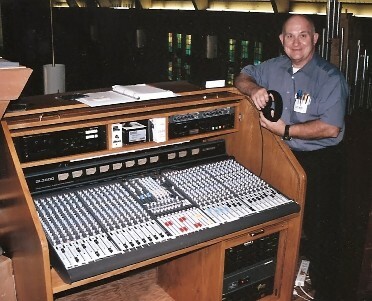 All of our sound system designs include uniquely tailored sound/video system documentation, operation manuals and training after the installation has been completed.